Occasionally we stumble across a real Montreal wedding that immediately has us transfixed. Sam & Nicola’s beautifully relaxed and stylish wedding at Espace 360 in Old Montreal is one such wedding. Photographed by the fantastic Gabrielle Desmarchais these photographs stopped us in our tracks with their cinematic feel, not to mention Nicola’s stunning recycled wedding dress. Gabrielle says it’s “a love story between a beautiful Irish girl and a Mexican with a big heart. They met in the City of Glass and it was love at first sight! Vancouver being a rather distant city for Nicola’s Irish family, the couple decided to celebrate their wedding in Montreal, a city they had always wanted to visit and had not yet had the chance. It was in the romantic neighborhood of Old Montreal that Nicola and Sam said “I do” accompanied by their families and friends from Europe, Mexico, the United States and British Columbia. We love the flowers, lovingly designed by Astible and Nicola’s hair & makeup by Atelier Eva Blanca. Huge congrats to Sam & Nicola and a big Merci to Gabrielle for sharing these gorgeous wedding photos with us. We are excited to share Rachel & Marc’s stylish and fun wedding with you today courtesy of photographer Valerie Baron at Studio Baron Photo Inc.
As you’ll see below this was a wedding full of elegance and beautiful styling that ended with some fantastic dancefloor action. Six years ago, I walked into the coffee shop where Marc worked. Marc took my order and prepared my Americano while we flirted awkwardly. I sat nearby working on my laptop, as Marc turned to a regular client and proclaimed « I’m going to marry that girl. » The rest is history. Everything classic yet modern. We chose a soft colour palette of light blues, navy, white, with touches of silver and greenery. We wanted a light and fresh colour scheme that aligned with the season and our venues. The catering – we were so impressed by the catering at our wedding, the food was outstanding and we definitely didn’t go hungry. The cocktail buffet, midnight poutine and burgers, and the signature drinks were so good! Yes, we made sure to eat at our own wedding! The flowers and decor – we loved the flowers! The bouquets were to die for with a mix of peonies, roses and eucalyptus. We also had a flower arch of white and light blue flowers surrounding us on the honour table which blew us away. Our florist mixed large, tall arrangements with floral wreaths around candelabras. It was gorgeous! The venues – we absolutely love the beautiful church we got married in. The ornate ceilings and decor, the perfect location along the water, and the impressive organ and acoustics. The location made our wedding ceremony that much more special. Our reception venue, also an old cathedral, refurbished into Theatre Paradoxe, was equally as gorgeous, with its high ceilings and stain glass windows. The Readings + Music: 1st dance song: We chose Stand By Me, the cover by Skylar Grey. We love this classic song but wanted to go with a newer more sultry version. We knew we wanted a song that wasn’t going to be too overplayed and something we would love for years to come. 1. Seeing each other for the first time, walking down the aisle. The moment we had pictured in our heads over and over! There was so much anticipation leading up to this moment, but when we finally saw each other, we were overwhelmed with joy. We held hands during the ceremony and couldn’t stop smiling at each other. We wanted to keep things traditional and opted out of doing a first look. This made the moment that much more special. 2. Our entrance into the reception was definitely a highlight of the night. Our bridal party each chose their own songs to enter into and really played up their entrances with choreographed dance moves. We busted out to « Crazy in Love » by Beyonce and got the party off right away. Everyone joined us on the dance floor, the sparklers went off and it was such an amazing moment of celebration. 3. The speeches and songs! We were fortunate enough to have friends and family put together a slide slow, secret speeches AND write a song for the bride. The speeches were so heartfelt and funny and the song was absolutely perfect. The groomsmen prepared a mash-up hit paired with plastic instruments and a ukulele. It was awesome. What happened that wasn’t planned? Positive: The speeches and songs! We were fortunate enough to have friends and family put together a slide slow, secret speeches AND write a song for the bride. The speeches were so heartfelt and funny and the song was absolutely perfect. The groomsmen prepared a mash-up hit paired with plastic instruments and a ukulele. It was awesome. Huge thanks and congrats to Rachel & Marc. We wish them all the best for a fantastic future together. Photographer: Studio Baron Photo Inc.
“Kirsten and Anthony planned a wedding for their friends and family from all over Canada. They chose Montreal, where Anthony is from, to host the incredible celebration. The venue, L’Ambroisie at L’espace Canal, was perfectly suited to their style and just right for their wedding size. It’s a big, beautiful industrial venue located in Saint Henri that overlooks the Canal Lachine. It’s really a blank slate that couples can decorate however they want – and Kirsten & Anthony did an incredible job to make the space perfectly suited to them. With white roses and greenery running down the length of each table (which the Bride sourced herself from Joe’s Prop House), and hundreds of String lights covering the ceiling, they transformed the space into an incredibly warm reception venue. The day started out with Anthony at his parent’s home in Laval, and Kirsten getting ready in an Airbnb in Old Montreal (another beautiful industrial space). The on and off rain all morning cancer meant that their plans for an outdoor ceremony had to be moved indoors. Which proved not to be a problem at all – as the staff at L’Ambroisie are incredible coordinators and string lights and large windows made for a beautiful indoor ceremony space. You can certainly see that joy captured in Agatha’s gorgeous photos. Take a look! Big thanks to Agatha for sharing this one with us, and congrats to Anthony and Kirsten on a beautiful wedding. Today’s wedding comes from established wedding photographer Emilie Olson. She was chosen to photograph Hannah and Justin’s gorgeous wedding at the Parisian Laundry in Montreal and captured the day beautifully. And we have to mention, the party looks like a fun one! “Waiting in the car for Justin’s limo to arrive, the sun is almost immediately swallowed up with rain clouds and it’s torrential downpour. This is the moment where a photographer has to say, do we wait for it to pass? How much time do we have to wait it out, or to travel to our Plan B? This is the sort of pressure wedding photographers deal with on a weekly basis, more than once (and only 1 of the many problems we may need to solve). This pressure is exactly why I’ve been photographing weddings for 10 years and why I still love them. I still have butterflies. If we weren’t pushed to work under pressure, we wouldn’t stay this in love with our work, or get striking material. That is what’s so special to us, and especially our clients. Our plan B was to (quickly) make our way to an industrial building in Saint Henri that I knew had great pockets of window light, and no one around to question us. I’m in love with what came out of it. Big thanks to Hannah and Justin for allowing us to share their story, and to Emilie for the fantastic images. We’re excited to share this gorgeous wedding with you today, shot perfectly by James Correia who captured all the fun and colour of what looks like the kind of wedding we wish we were invited to! We asked Matt and Isabelle to tell us some more about how their wedding all came together, how they involved their guests in the day and to share some advice for anyone else planning a wedding…. Matt took Isabelle to a restaurant she has been dying to try for years and he was planning on proposing there when all of a sudden, out of the blue, Isabelle says: “By the way, if you ever decide to propose to me, don’t ever do it in a public place like a restaurant because I’d be too shy.” So Matt left the ring box to jab in his thigh all night and when they got home, Matt got on one knee and proposed. Although Matt did help with a lot, the planning and decorating was mainly done by Isabelle, including the hand-made paper flower lettering above their table. La Toundra was the perfect venue to bring the outdoors inside with the glass walls, and it looked out onto the Jardins du Canada where we had the ceremony. Isabelle’s friend, Yasmine Wasfy from Boutique Lustre, sat down with her and discussed a design which she then hand-made. The veil was made by Isabelle and her mother. Matt wore a Suit Supply navy suit, with Prada shoes. The speeches/toasts were done by Colleen Poole (MOTG), Dory Reimer (MOTB), Stuart Lowry (Best Man) and the groom himself, Matthew. DJs were Jimmy Spencer and Charles Pham-Dang, friends. The meal, dancing with Isabelle’s 97 year old grandmother, the ceremony itself, the band, when the chef paraded the pig around the room. Lipstick stain on dress just before ceremony and despite trying to wash/rub it out, Yasmine had to emergency sew white thread over the stain! The table cards forgotten at home, but our day planner, Vanessa Langevin, managed to make some with tags and a sharpie! Listen to the advice people give you! Our main one would be to take a few moments after the ceremony alone together to absorb what just happened. Oh, and stay together while visiting with guests, it is easy to separate while chatting with so many people but then you end up spending the whole wedding without your new spouse which seems pointless! So remember to lock hands and visit together (also helps with introductions). Oh- one more: It’s easy to get caught up in the excitement and forget to EAT! Eat the food you paid so much to get! Thanks to Matt and Isabelle for sharing this amazing wedding with us, and to James Correia for the beautiful photography. Montreal based Japanese style bakery. We use only the best quality ingredients and pay attention to the smallest details. Flowers. Perfect for all events, Astilbe’s creations are refined, refreshing, and happy. Enjoy the pleasure of entertaining with or offering fresh flowers! In an industry where most duplicate, imitate, and recycle ideas,our team of professional event designers and refined clientele refuse to accept mediocrity. Glad you’re here! 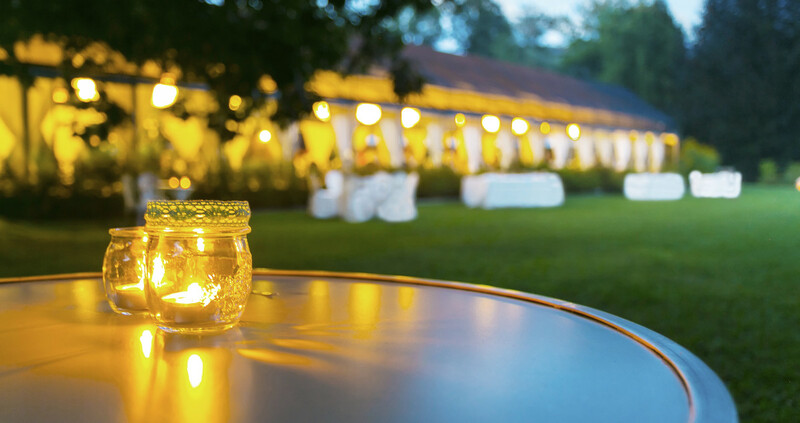 Événements Vanessa Langevin Events specializes in the conception and coordination of events in the city of Montreal, and surrounding areas. We have a truly spectacular Montreal wedding for you today. When the groom is a wedding videographer by profession he knows exactly what makes for a great wedding day! Patrick runs respected wedding videography company Fabula Films and, with his fiancee Jeannine equally involved in all the planning, their day was always going to be something special. I had talked to Patrick about a cool Montreal restaurant called Dinette Triple Crown, which offered southern comfort food to go, in picnic baskets. So when he ever-so-naturally suggested we give it a try, on a sunny Friday in May of 2015, I couldn’t refuse. Little did I know, Patrick had been planning a wonderful surprise. So we picked up our basket and headed to Beaver Lake in Mount Royal Park, where we figured there would be plenty of green space to accommodate us. To Patrick’s great surprise, Beaver Lake and its surroundings were under construction… which was not the case a few weeks prior, when he had visited the location in anticipation of this special day. But I sensed no panic in him (he later told me he was slightly panicked) as he calmly pointed out a little hill perfectly made for two. We laid our blanket and ate our food, and when the time came for dessert, he took out two brown bags in which, I thought, were two of my favorite Portuguese desserts, pastel de nata… One for him, one for me. I opened the bag and reached in for my sweet treat, and in all my excitement (I love food), I barely noticed that Patrick was on bended knee, holding a gold and burgundy box he had fetched out of his brown bag. And so he asked me to marry him. And I discovered that I react to happy surprises with uncontrollable laughter. And when I noticed that two of our best friends had been there all along, taking pictures of the proposal, laughter turned to tears of joy and gratitude. Oh, and I said yes. Elegance and intimacy, despite a relatively large guestlist, in a rich and warm rustic setting. We were overwhelmed at first… But with the help of our friends and family, and of our contacts in the wedding industry thanks to Patrick’s line of work, we found a path towards efficient and organized planning. We came up with a first draft of our guestlist. We hired the lovely Isabelle Paille from Fleurs et Confetti to assist us in finding a venue and designing/branding our wedding (she was also our florist!). We drew up a budget. And we developed a solid relationship with Gmail, Google Sheets and Google Drive. The whole process lasted a little over a year, and despite the occasional stresses, we both can say that it strengthened our relationship and confirmed our decision to spend the rest of our lives together. We knew exactly what we wanted but were struggling to find a venue that would suit our needs and meet our expectations… then along came the Abbaye d’Oka, located in Oka, Quebec, with its charms, its history and its impressive brick walls and wooden structure. Often compared to the Harry Potter refectory, the dreamy Grand Réfectoire was our choice for the wedding reception, while the cocktail was held outside, beneath tall trees and string lights. The service was impeccable, the food was delicious and the staff was competent, friendly and beyond helpful. We were also able to spend the night in the Auberge de l’Abbaye d’Oka, which is adjacent to the reception hall. I had a pretty good idea of the type of dress I wanted, so it was easy for me to narrow down my choices. Form-fitting, open back, long train with straps. To start, I headed to Da Novias, in Laval, with my mom and sister. I fell in love with the third dress I tried… but didn’t want to say yes too quickly. After all, you only get to do this once, so I wanted to extend the fun. We visited two other stores and it quickly became clear that my heart was set on that dress, so I went back and sealed the deal. A few years ago, one of my best friends, who was getting married, took me for a tuxedo fitting at Waxman on Parc Avenue, in Montreal. I was impressed by the quality of the suits and the vintage feel of the place so I thought I’d bring my best friend, one of my groomsmen, back to where it all started, and in turn, take advantage of the other services Waxman offered on the day of the wedding. We not only decided to get dressed there but I also went to their barbershop for a fancy shave and hairstyling by the very talented Brian Diaz, who now has his own barbershop in Montreal which I find offers an excellent service. Waxman not only offered beautiful suits but also offered us excellent customer service. I was lucky enough to have a good friend of mine, and also Jeannine’s best friend’s/bridesmaid’s husband, take care of custom tailoring my white dress shirt. He, his father and his brother own a famous family-run store, Arthur bespoke tailors & shirtmakers on Crescent Street, in downtown Montreal. The attention to details these guys offer is beyond words. I highly recommend their store if you’re looking for a custom shirt or suit. We didn’t want to settle for just about anything when it came to literature and music. Thankfully, the church where our ceremony was held, Église Saint-Eustache, was open to suggestions and allowed us to personalize our wedding ceremony. We opted for traditional with a twist: a couple of readings from the Bible and a couple more from Antoine de St Exupéry’s Le Petit Prince and Khalil Gibran’s Le Prophète. We asked family members to read passages from the Bible, which made the ceremony that much more intimate and special. We hired the Vivaldivas string quartet, who not only offered a large repertoire of famous classical, traditional and pop-culture music but also agreed to make an arrangement of a song we liked (Ruelle – I Get to Love You) to adapt it to their instruments. The bridal party procession was to that song, the bride and her parents walked into Wagner’s Bridal Chorus and the newlyweds exited to the sound of Mendelssohn’s Wedding March. Several other songs were played during the ceremony, including La Vie en Rose and Elvis Presley’s Can’t Help Falling in Love. Isabelle Paille from Fleurs et Confetti helped us achieve our vision of romantic and elegant floral decor. We loved her idea of tying up the bouquets with long, silky, richly colored ribbons, making the deep magenta and raspberry flowers pop. She also decorated our rental french doors by hanging raspberry carnations upside down – floral genius! Like most rustic-themed weddings, we opted for a naked cake covered in fruits. Claudine from Sweet Couture suggested a vanilla cake with almond paste filling and we just had to agree! Our cake not only looked glorious but tasted delicious, even if we only had time for a single bite. We froze the top tier and will take it out on our 1-year anniversary (or earlier…) We topped it off with a cute white and gold burlap cake-topper ordered from TheCraftandCupboard on Etsy. Photography and videography were on top of our list. We wanted our big day to be frozen in time and we wanted to be able to relive the day by flipping through an album or watching a film. So we took the time we needed to find a photographer who would understand our style and personalities: out of the ordinary, different, edgy and laid-back. When we saw how Steve Gerrard can so effortlessly juggle between rock ‘n roll and romance, we were sold. His bold colors and attention to detail result in absolutely beautiful pictures, and we just can’t get enough of them! Steve and his team were fun and easy to work with, discreet and efficient and we are so grateful to have had them capture our wedding day. When working in the wedding industry, you get to work with other talented artists. Patrick was lucky enough to have had the opportunity to work amongst some of the greatest wedding cinematographers in Montreal. The team behind the video comprised several talented cinematographers. Ania Jamila from LUVE Films, Noah Leon from MooseFuel Media, Dominic Fillion from DF Motion, Chi Truong from One-Blink, Christian Garcia from Drones Falcon Bleu and Christo Saba all contributed their time and worked relentlessly to film our wedding day. Luckily we will have hours of beautifully filmed clips to work from in order for us to make a wedding film we and our future family will cherish for years and generations to come. We gave Isabelle from Fleurs et Confetti a few pointers: string lights, raspberry and gold, candles and warmth. She made her magic happen and the venue looked like it was out of a mystical fairytale. Over 200 candles were softly lighting up the hallways and the refectory. We used white and green pumpkins (which our guests took home! ), ivory silk ribbons, logs, bottles wrapped in burlap string, linen table runners and raspberry, burgundy and white flowers to decorate the venue. As a thank you gift, we offered handmade raspberry jam purchased at the Ferme Guy Rivest. As for the cocktail, we really wanted our guests to have a good time, so we offered heel protectors to the ladies (so that they wouldn’t sink in the grass), concocted signature cocktails and had large frames hung from trees for photobooth-style pictures. Hawaii the beautiful!! Our honeymoon started on an amazing note as we flew first class on United Airlines… Search for last-minute deals, guys! You can get very, very lucky. After a layover, some sleep, 3 movies, games, good food and a few drinks, we landed in Oahu where we spent 2 nights (in vibrant Waikiki, Honolulu) before embarking aboard the Pride of America (Norwegian Cruise Line). We cruised through 4 of Hawai’i’s 8 islands, Oahu, Maui, Hawaii (The Big Island) and Kauai, and spent the second week basking in the beauty of Maui. We snorkelled with giant turtles, ziplined through Kauai’s wilderness, watched the sunrise at 10,023 feet on Haleakalā, saw lava explosions in Volcanoes National Park and hunted for double rainbows. Hawaii is well worth the total 16-hour trip and we would do it all over again if we had the chance! The exchange of vows, when Patrick made the whole room cry. And our entrance into the reception hall as husband and wife, when all the anticipation and excitement which had built up in the previous year just burst out of us. Jeannine: During the preparation, as we were getting closer to heading to church for the ceremony, I was getting more and more stressed, which is unlike me, usually. I rushed through the final minutes and in my hurry, forgot to take pictures with my bridesmaids. But it all worked out in the end when our photographer Steve had my girls and I do a mini-photoshoot during the reception. Patrick: I was surprised by the intensity of my emotions. We were also pleasantly surprised that our DJ, Alex Naim, had coordinated so beautifully the whole production, which we had left to him. Alone, he not only gave us an outstanding DJ performance but he also coordinated the bridal party entrance, musicians, speeches, and every other event all throughout the evening until the venue closed its doors. We also really enjoyed the performances of Eric Speed and Paul Lizzi during our bridal party entrance. These 2 are very talented musicians. Paul Lizzi surprised us with a second darbuka performance halfway through the evening, which blew the crowd away. Draw up a budget; be reasonable, but give yourself some wiggle room. Ask for help if you’re overwhelmed. Keep an agenda and write things down (hello Excel/Google Sheets!). Try not to leave anything to the last 3 or 4 days, you will be very excited and will want to spend time with your family and friends. And most importantly, write your own vows: you may think you’ll be too emotional to read them during the ceremony, but we guarantee that you will get through them and it will be so special and meaningful! Thank you SO much to Jeannine & Patrick for sharing this beautiful wedding with us. We wish them all the best for a future of happiness together. Jeannine and Patrick’s Wedding Teaser from Fabula Films on Vimeo. The Mirage Golf Club in Terrabone near Montreal is a gorgeous, relaxed venue for a wedding. It also happens to have a very famous owner….. a lady named Celine Dion! When Ola & Gabrielle planned their big day they tell us they wanted “something pure, romantic and timeless; something that resembles who we are.” We think that’s exactly how a good wedding should be and we’re excited to share their wedding with you today. Ola proposed to Gabrielle in Paris; at the same restaurant they met 3 years before. It was totally a surprise! We planned everything ourselves as we thought that it would be fun and exciting! We started a year before but everything happened in the 4 last months. We picked the Mirage Golf Club as we wanted a large outdoor space to be able to do the wedding ceremony but also the reception at the same venue. Gabrielle’s dad has been a member for several years and he was so pleased with the choice. Gabrielle mainly wear only black so she was pretty stressed about wearing all white, even for that special day. She had her dress custom made by the talented Montreal based designer Elisa C-Rossow. Adding the touch of grey made this dress even more at the image of Gabrielle. Ola drove Gabrielle to Toronto to get her perfect wedding shoes. She settle on some amazing sparkling Saint Laurent Sandals. Ola always wanted to have a bespoke suit made, and this was the perfect occasion. By recommendation, he chose Sartorialto for the creation of his 3 piece suit. The 2 readings came from each favourite books. For the music, Montreal Jazz Band was a real crowd pleaser! We danced all night. And for our first how safe is it song, Fly me to the Moon by Frank Sinatra, it was just completely perfect. Atelier Carmel – she really read our minds for the flowers. Everything was perfect. Our dear friends at Darling Delights made Gabrielle’s favourite : champagne and strawberry cake with a white chocolate ganache. A small cake and lots of mini cupcakes was covering a nicely plated table with flowers. We found Micheal through his online journal. We instantly LOVED his style; timeless, romantic and true. We are so happy with all the photographs from the wedding and the engagement session. Since Ola’s family is from Sweden and we had so many friends from out of the country, we took a delayed honeymoon to Mexico in January 2017. We were glad to wait for winter to espace the cold weather and enjoyed the rest of the summer with our family and friends. The whole day! It does go so quick and we really tried to take it all in. But i remember when we left the venue, in the middle of the night, in the car we just started laughing and said : We did it! On the morning of the wedding, Ola drove to the Ritz Carlton where we stayed for the weekend to drop the luggages. He ended up having a flat tyre that almost made him late for the car pickup! Let go of everything, just enjoy it all! Big thanks to Ola & Gabrielle for sharing their day with us here at MTL Wedding Blog. Fantastic photos by Micheal Beaulieu too! One of the true skills of a good wedding photographer is anticipating the action and making sure you’re in the perfect spot to capture moments as they happen. We feel this photo by Montreal wedding photographer Ashley MacPhee is a perfect example of that. Here’s what Ashley has to say about her image..
“Anne and Jeremie are a couple that motivate everyone around them to love life and enjoy every second. The entire day they were not focused on themselves (even though the day WAS about them). Rather, their interest was directed towards family, friends and even me – their photographer making sure we were well fed, well ‘watered’ and most importantly- having fun. We love some minimalism here at MTL Wedding Blog so today’s photo from Montreal photographer Sebastien D’Amour caught our attention immediately. Sebastien tells us “I love this images because it’s simple and minimalist yet very powerful. The couple walks up and down the hills is a nice metaphor to what we all live in our lives.